Open Houses this coming weekend! New paint & new carpet! The Riviera's in Silver Creek Valley Country Club. Adorable 1590 sq ft, 2bd/2ba, all downstairs one level. Great room with fireplace, plantation shutters, crown molding, wood floors & French door opens to patio. Kitchen features white cabinets, shuttered pass through to great room, sunny nook with built in china cabinet. Large en-suite master, French door to patio, walk in closet, double sink vanity, soaking tub & step in shower. Secondary bedroom and hallway full bath. 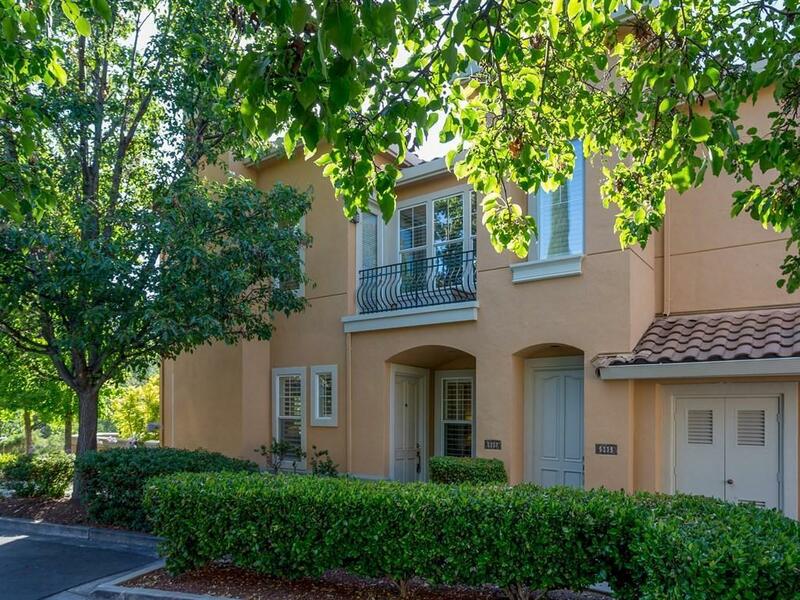 Serene private Creekside setting overlooking the lush green belt, clubhouse and golf course. Spacious easy-care patio with dining platform. Swimming pool and spa for Riviera residents only. Listing courtesy of Grant,Griffith&Jones of Intero Real Estate Services.